Installing sliding wardrobes are a simple and classy way of adding storage and maximising your bedroom space. And there are a variety of styles and colours. A wide range of mirrored sliding doors, paint finishes, wooden and many more. However, just like any other furniture at your home, there are still some problems that may occur. RollersSliding wardrobe doors move easily because of the rollers, it is the bottom part of the door that allows it to easily slide along the track. But if you find your door gets stuck and only moves with great force, then the rollers may just be dirty. Dirty rollers can obstruct door movements, and cause dysfunction. To fix the problem, you need to clean it immediately. Furthermore, if they have cracks, rust or bends which can happen over time, you will need to invest in new rollers. Wheel alignmentYour wheels must be aligned properly on the track, so your sliding doors can work correctly. It will be impossible to open or close them until the problem is fixed. The common reasons for this happening are that the screws that hold the wheels and the track together have become loose or fall out over time, that’s why you should realign your wardrobe door by simply tightening the screws or replace the missing ones. Additionally, you can spray some lubricant on the rollers to help them move more easily. Shattered glassIf you can still use the frame, then you can definitely replace the glass from the seal. If the glass pane breaks, we recommend leaving this to the experts to clean up and fix, rather than taking on the task yourself. Most repairs are simple and don’t need an abundance of money, but other repairs can be complicated and are best fixed by professionals. Before you take on a repair project by yourself; you should consider the risks, costs and time that will be spent. The best way to cut back on sliding wardrobe door problems is to install high-quality products, which will definitely last longer and stand up to wear and tear. 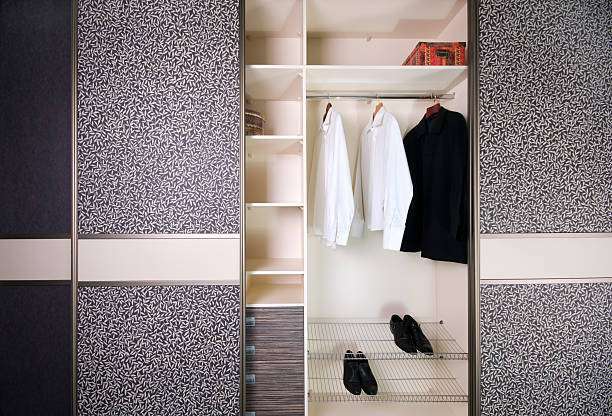 Superglide Wardrobes has a wide variety of products that will work for you. Moreover, if you need some help with sliding wardrobe door repair and maintenance, contact us on 01793 861584 or email us at sales@superglidewardrobes.co.uk our experts are ready to help and also to get an expert opinion on your repair!